Using Embedded Coder™ Support Package for PX4® Autopilots you can generate C++ from Simulink® models specifically tailored for the Pixhawk FMU (flight management units) using the PX4 toolchain. You can customize algorithms that leverage onboard sensor data and other calculations at runtime. A sensor/peripheral block library for inertial measurements, GPS, vehicle estimation, PWM output, and ADC and serial Rx/Tx. This can be extended to support other sensors/peripherals. The ability to view the value of signals and tune parameters in real time so you can interactively test the behavior of the generated code. The ability to read and write uORB topics as well as enabling real-time scheduling with uORB. The ability to automatically deploy flight control designs from Simulink onto Pixhawk autopilots. An example on how to log and record flight data of sensors, actuators, or any part of your Simulink control model for test and analysis. PX4 is a trademark of Lorenz Meier and consists of an open-hardware autopilot ecosystem and low-cost flight control units. 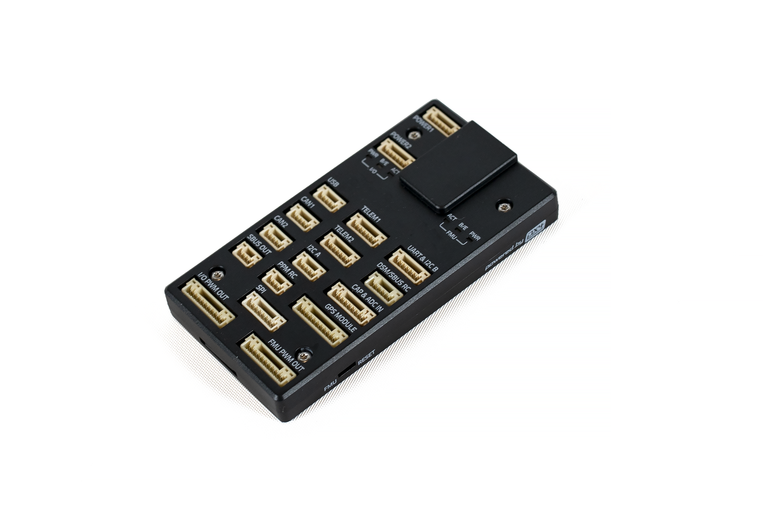 Pixhawk (PX4) autopilots are low-cost flight control units based on open hardware. They feed on-board sensor inputs to algorithms running on ARM® Cortex®-M microprocessors to drive motors using PWM outputs. They are based on NuttX real-time operating system (RTOS) and support flight control and vehicle management of fixed- and rotary-winged aircraft. Does MathWorks provide any tools for automatically generating flight code for the Pixhawk platform?